Raja Ampat Biodiversity Resort is located on Gam Island in the heart of Raja Ampat with easy access to the best dive sites in Raja Ampat. 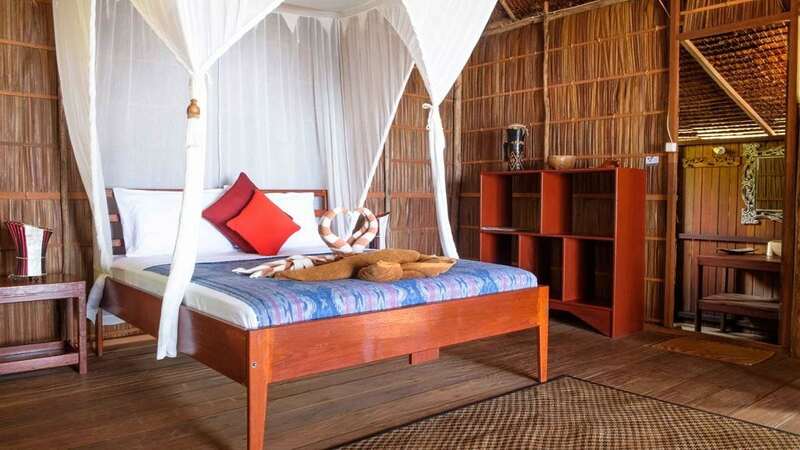 The Raja Ampat Biodiversity Resort rooms are clean and spacious, and the staff are friendly and helpful. The diving is amazing with many exciting dive sites just a short boat ride away from the resort. 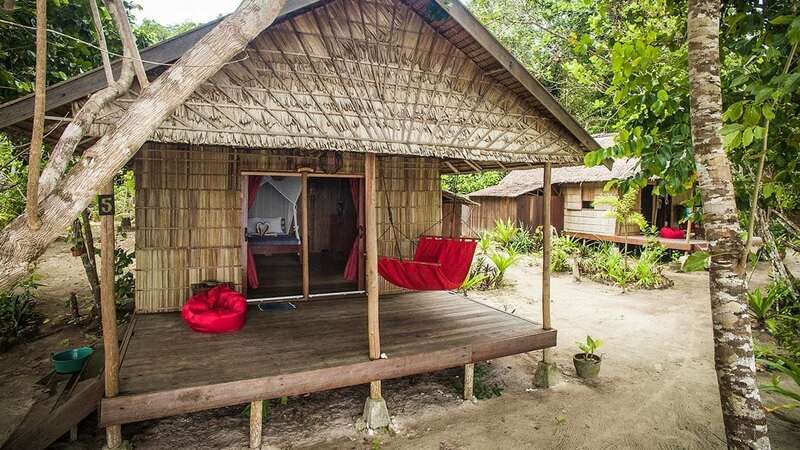 The resort is a 30-minute boat ride away from the city of Waisai and about 3 hours from Sorong. The resort offers 8 cottages in three categories: 2 Deluxe Cottages, 4 Superior Cottages and 2 Standard Cottages. 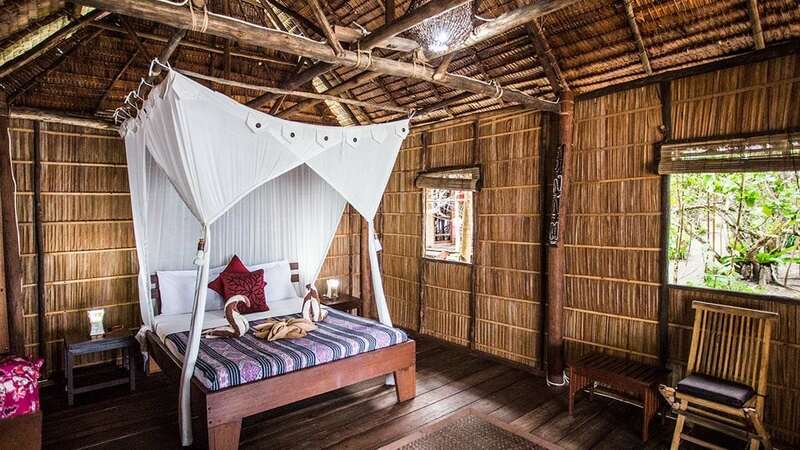 All cottages are built with traditional materials following the Papuan local architecture and located on the beach front with stunning sea views. The Deluxe Cottages have a private bathroom with hot and cold water shower. These rooms are very spacious (55m2) and located at the end of the resort for privacy and solitude. The beds can be configured as double, twin, single or triple share. These cottages are equipped with writing desk and seating area inside the cottage, and they also have two sun loungers in front of the cottage to enjoy the sunshine with a book. The Superior Cottages are also spacious (46m2) independent cottages located at the far end of the property. Bedding can be set up as double, twin or single, and these cottages have an en suite bathroom with cold water shower. The Standard Cottages contain two rooms (42m2) and a shared bathroom with open shower and western toilet. One room is set up with a double bed, the other with 2 single beds, and are ideal for families or a small group of friends. The restaurant is also the resort’s focal point and encourages ‘barefoot’ dining. The food is mostly traditional Indonesian cuisine, with some international dishes. All the meals are prepared with fresh ingredients bought daily from the local market in Waisai town. Local fisherman often brings their catch of the day directly to the resort, so you will enjoy a lot of fresh fish! Vegetarians are easily catered for. The restaurant provides hot water all day long, so you can make yourself complimentary and unlimited coffee and tea. There is drinking water and a refrigerator with beer, soft drinks and juices available. Other facilities include a long desk for charging batteries, a bookshelf for trade and for reference, and two seating areas, one inside the restaurant and the other one right in front of the beach. Reception is located in the main building and is open from 8 am to 12noon and 3 pm to 7 pm. The staff are very helpful and can answer any questions you may have. Laundry services are provided. Though solar-powered, the 220V power (via European sockets) is available 24 hours a day. If you are a nature lover, this is the right place for you. Besides diving, other activities on offer are snorkeling, bird watching and kayaking. There are 2 kayaks for rent: 1/2 day USD 15 or full day USD 20/kayak. The red bird of paradise is endemic to this area. Other endemic species which can be spotted in this region are spotted couscous, crested cockatoos, parakeets, frogs and snakes. The resort can organize guided jungle treks on request. Village visits are also offered to Friwen and Yenbeser Villages or Waisai. Island hopping tours are available. The resort uses 3G or what they call “½G”, this means that this would be enough to check emails and Whatsapp messages but not much more. The signal is open from 5 pm to 7 pm for guest use. If you would like internet access all day you can purchase an Indonesian Sim card (Telkomsel) and buy one of the internet packets. There is a phone signal on the island, but it is not always good. The best operator for the area is Telkomsel. The per person pricing above is indicative only: we show 7 night with dive packages at high-end and lower-end rooms (singles & doubles) for the purposes of comparison. We can give you a price (and availability) for any combination of nights/dives you wish to undertake, which will include any discounts due to you as part of that package, and any exclusions, or items payable at the resort. Use the [Enquiry & Booking] button to give us your exact requirements and we'll give you the best deal we can. Raja Ampat Biodiversity Resort is located on Gam Island in the central part of Raja Ampat. 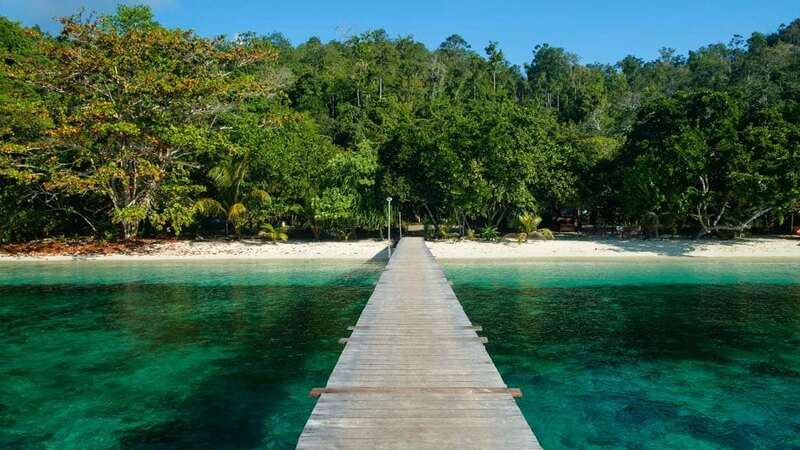 The resort is a 30 minute boat ride away from the city of Waisai, which itself is about 3 hours from Sorong. The resort uses the public fast ferry operated by ‘Bahari Express’ between Sorong and Waisai for guest arrivals and departures. The ferry is comfortable, fast and new. It is air-conditioned and has a TV, cafeteria and toilet. The trip takes about 2 hours one way and the transfer is included for any 7+ day stay. Staff will be waiting for you at Sorong airport and will transfer you to the ferry terminal to catch the daily 2.00pm ferry to Waisai. From Waisai, guests will be picked up by the resort with the boat. The boat ride to the resort takes only 30 minutes. For early morning arrivals, the staff will take you to a hotel lobby to rest for a few hours and transfer you to the ferry around 1.00pm for the 2pm departure. Note: On Mondays, Wednesdays and Fridays, there is a ferry departing Sorong at 9am. 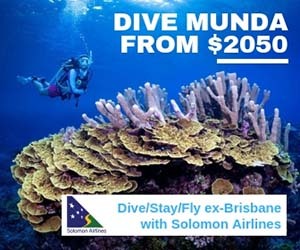 Add USD 20/person surcharge if you are interested in using this option. Raja Ampat Biodiversity Resort is located in Dampier Strait, with most of the famous dive sites 5-15 minutes away from the resort. The diving centre is in the main building close to reception. 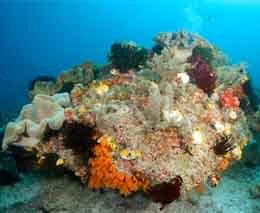 The resort’s house reef offers some fantastic diving as well. The resort offers individual dive experiences in small groups, typically 1 guide to 4 divers (max. 6 divers). The dive guides organize the dive planning with all divers to ensure that your Raja Ampat experience is the best it can be and will allow up to 75 minutes bottom time if your air permits (min. 40bar). All dry equipment is stored inside the dive centre, and once used, it is kept in the wet storage room, just in front to the rinsing area. All rental equipment is well maintained, serviced regularly and all equipment is properly rinsed after every dive. Staff will look after all of your dive gear if you prefer. The dive package includes complimentary tanks, weights and weight belts. There are 14 full sets of rental equipment available for guests in sizes from XS to XL. Any equipment required: BCD, regulator, wetsuit, fins, booties, mask, snorkel, dive computer and torch can be rented; and you can even rent a GoPro Hero4 orpoint-and-shoot underwater camera. Nitrox is not available. The 12L aluminum tanks have yoke (INT) fittings, though a few DIN adapters are available. However, it is recommended that you bring your own DIN adaptor to be on the safe side. The resort has three boats all equipped with First Aid kit, First Aid Oxygen, and satellite phone; and drinking water, hot coffee/tea and snacks for the morning surface interval. 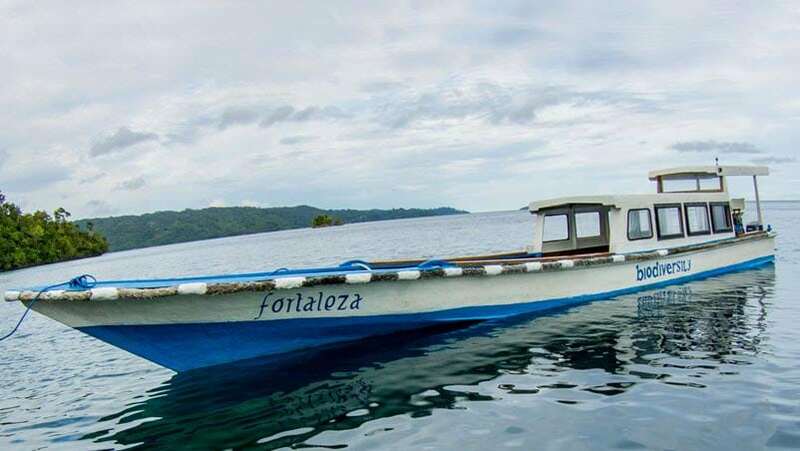 Big Boat: Fortaleza seats 16 divers, and is also used for long trips or pick ups in Sorong. 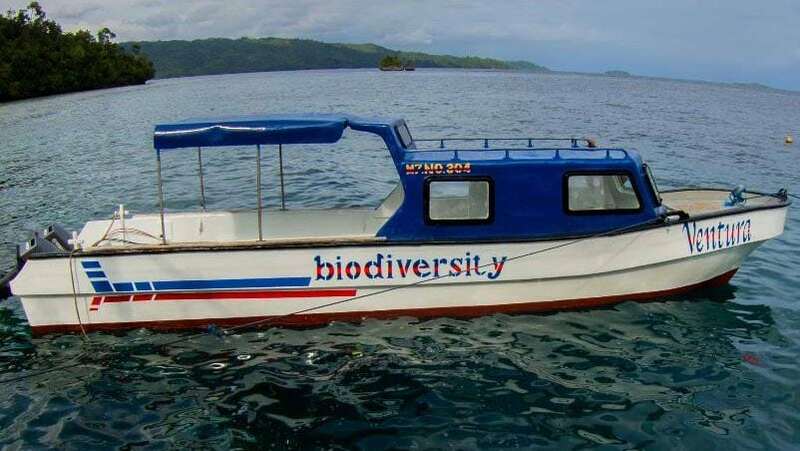 Medium Boat: Ventura seats 10 divers and is also used for pick ups in Waisai. Small Boat: Armonia seats just 8 and is used for dive sites near to the resort. The resort offers 3 types of dive packages: 2 dives, 3 dives or 4 dives per day, each inclusive of unlimited unguided house reef dives. 2 dives per day package: 2 morning dives starting at 8am. 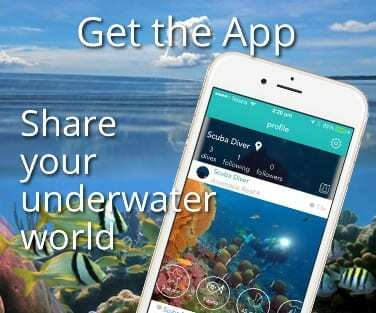 4 dives per day package: 2 morning dives, 1 afternoon dive, and 1 night dive. Raja Ampat waters are highly rich in nutrients and Dampier Strait is especially nutrient-rich due to its fast-moving currents. These currents attract a wide variety of species the region has become famous for. Some of the dive visited in close proximity to the resort are Batu Lima, Francisco’s Peak, Friwin Island, Mioskon, Mike’s Point, Sardine Reef, Cape Kri, Blue Magic and Chicken Reef. Mike’s Point is a deep wall with strong currents and some of the best fish life in Dampier Strait. 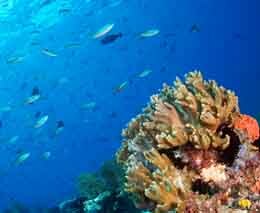 Sardine Reef is an oval-shaped reef patch right in the middle of the open ocean and home to big schools of fish. Cape Kri, perhaps the most famous of dive sites in Raja Ampat, is a deep slope which absolutely offers everything – from vast gardens of colourful hard and soft corals to the very scintillating prospect of a manta ray flying by. 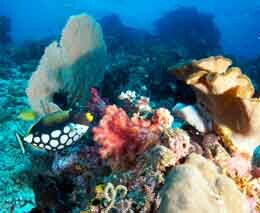 The dive packages include dive sites within a 12km radius from Biodiversity Resort. More distant dive sites like Fam Island, Manta Sandy and The Passage are available upon request, but an extra fuel charge will apply. Your incidentals can be paid in cash or by credit card at the resort. They accept Euros, USD and IDR in cash. Cash notes must be new print, clean, crisp with no folds or marks. Visa and Mastercard are accepted at 4% surcharge. The resort uses its own conversion rates (IDR, USD, Euro) which may be different to the market exchange rate. 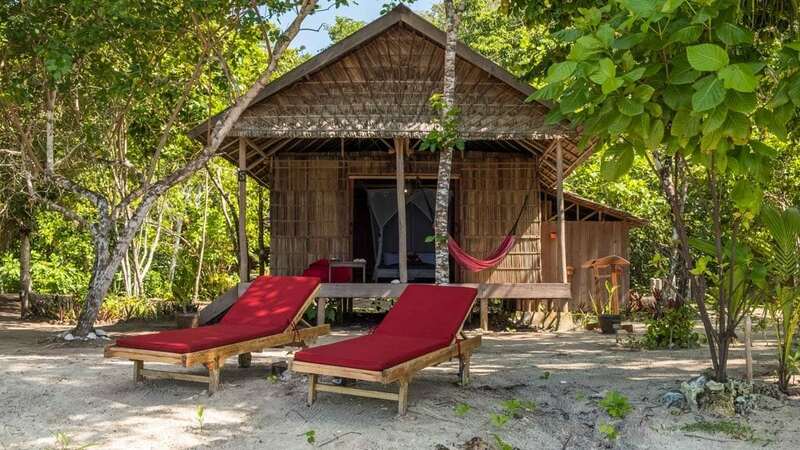 The resort is in an excellent location in the heart of Raja Ampat. Rooms are clean and spacious. Staff is friendly and helpful. The diving is amazing. Many exciting dive sites are only a short boat ride away from the resort.